We’ve all questioned at one time or another what is appropriate wedding attire, how much money to spend on the wedding gift or how long you have after the wedding to send out your thank-you notes. Hey, guess what? These are valid questions and concerns. Luckily, there are a ton of wedding articles and rules of etiquette on the web that can answer these questions or hopefully someone with more experience you can turn to. Yet despite all of these resources at one’s disposal, there are many adults who lack good manners and an understanding of general wedding etiquette; therefore, I have taken the liberty of compiling a list of do’s and don’ts that sometimes get overlooked, which could ultimately spare you from potential embarrassment or unintentionally offending someone you care about. Don’t invite anyone to your pre-wedding day celebrations you aren’t inviting to your wedding. This is a big no-no and probably the most important rule of wedding etiquette. Why make anyone feel they’re only important enough to come to your bridal shower and ‘shower’ you with a gift or cover the cost of your drinks all night at your last hurrah as a bachelor or bachelorette, but not important enough to celebrate with you on your big day? It’s rude and people will take it personally. While your intentions may be golden and think having them be apart of one of your events is better than none at all, they will feel excluded and confused. Don’t ask the bride and groom if you can bring a casual date to the wedding, or worse, show up with an unexpected guest. Your friends, more than likely, already know your dating situation and will address the invitation to you and guest. You’ll probably have more fun attending solo anyway over tending to a date who doesn’t know anyone. Do mention your friend’s significant other on the invitation if you know their name and they are cohabiting, if you want them both to attend. Not doing so, could easily create confusion on their end and you risk having a potential guest forgo your event if they think they aren’t welcome. Don’t mail back an RSVP with plus-four and your children’s names with the intent of bringing the entire clan if the invitation doesn’t address each member of the family. Invitations are meant for only those who are mentioned so leave the kiddos at home and enjoy an adults-only evening with your spouse. Do give a wedding gift. A wedding gift generally symbolizes a token of affection and is a thoughtful gesture to express your best wishes for the happy couple. If you’re questioning what is considered an ‘appropriate’ gift amount, use your relationship to the couple as a point of reference. Additionally, TheKnot.com gives a ballpark to aim for, recommending $50-$75 on a co-worker and/or a distant family friend and $100-200+ on a close friend or relative. Moreover, you generally have up to a year after the wedding date to send a gift so there really should be no excuse for attending someone’s wedding without so much as even a card. Now, you might be contemplating if this same rule applies to destination weddings and if there are exceptions to the rule. Technically, a wedding gift should still be given when attending a destination wedding; however, with the additional expenses associated with destination weddings, don’t feel pressured to spend more than you are comfortable with. Most couples would agree that having their guests present is truly a gift in itself. Do look presentable. Gentlemen, put on a sport coat, a freshly pressed pair of slacks and a button up, at the very least. If the invitation specifies the wedding will be a formal event, then a suit and tie are required. Don’t show up to a wedding in jeans and a t-shirt unless the invitation says otherwise or you are going to a backyard BBQ. Ladies, a tasteful knee-length cocktail dress works well for any occasion and a long gown is suitable for a formal affair, but please do not wear white unless the bride and groom have requested their guests do so. Not ivory, not cream and not even a white suit. This is the oldest rule in the book. If your outfit of choice has to have some white, then white colorblock will suffice. Most importantly, use your best judgment and let the bride and groom shine on their special day. Don’t wait too long before sending out thank-you notes. 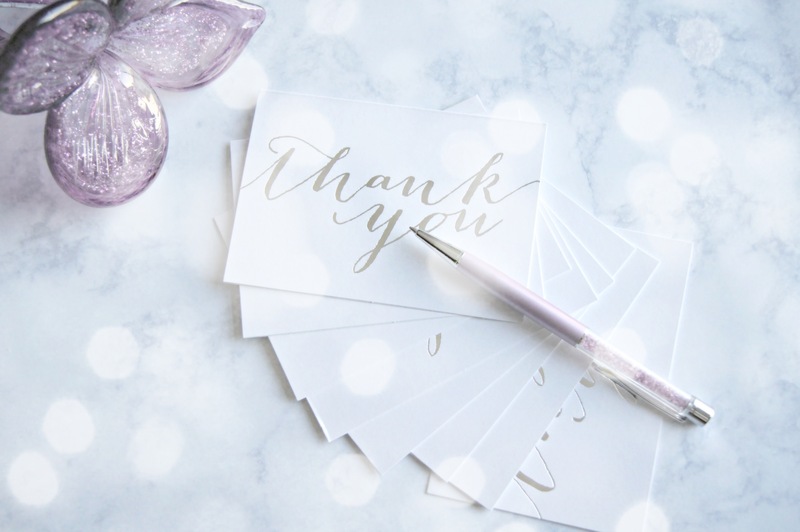 The general rule to send out thank-you notes after a bridal shower are two to three weeks from the day of the event and within three months from the day of your wedding. Any wedding gifts you receive before your wedding should be acknowledged before the wedding day. If you wait too long, your guests may think you never received their wedding gift or that it was lost or stolen, resulting in that awkward phone call or text message asking if you ever received it. Do personalize your thank-you notes. If your guests are able to take time out of their schedules to be there to celebrate with you and bring you a gift, then you should take time to express your gratitude. A handwritten thank-you note with a personal touch is still appreciated over a generic typed up message even in today’s digital world. Don’t ask someone to stand up in your wedding with whom you don’t have a strong relationship or only do so out of obligation. Your wedding party should be your closest friends or family members and who you know will be there for you. It really is an honor to be included and asked to stand up, but there are a lot of expenses and duties that come with being apart of someone’s wedding. Your wedding party should include the people you can count on, have meaningful relationships with and will continue to be there for you after the wedding. If you ask someone with whom you don’t have a strong relationship, you take the risk of them accepting the role because they don’t want to let you down or they feel pressured to do so, which could result in them complaining through the entire process, or worse, pulling out at a later date. If you do commit to standing up in someone’s wedding, then you should genuinely want to be there for that person and do all that is asked of you. Don’t ask someone to stand up in your wedding as a backup. No one wants to be second choice and you don’t need to fill spots just to have the same number of bridesmaids as there are groomsmen, and vice versa. This isn’t a popularity contest so don’t fret if the groom asked eight of his closest friends while you only asked four. 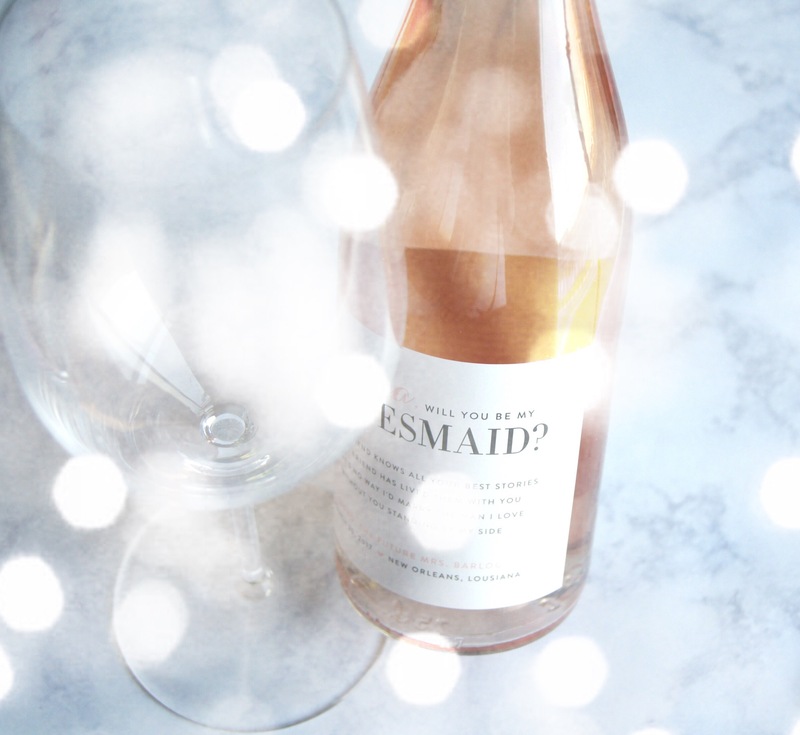 Don’t be a bridezilla and demanding of your bridal party. Your bridesmaids should be there to make your wedding day and days leading up to it run smoothly and less stressful. Bridesmaids are typically in charge of hosting the bachelorette party, sometimes assist in the planning and executing of the bridal shower, and should help with any miscellaneous tasks such as sending out invitations, dress shopping or DIY projects. With that being said, don’t expect your bridesmaids to be available at the snap of your fingers if you don’t give them prior notice or a couple options with available dates. When it comes to your bachelorette party, don’t demand they pay for a luxurious hotel suite, cover all costs for an expensive long weekend in Las Vegas and mandate they purchase a table at a club with bottle service. You should give your bridesmaids or MOH an idea of what you would like to do, but ultimately, this is a party they host and one they should agree on and take charge. I really enjoyed reading this. Do you think you need to give a gift even if you aren’t attending the wedding? Hi Katie! Thank you. The proper etiquette would be to still send a gift if you are not attending the wedding.